Children's books are often filled with fairy tales and fanciful stories that in the end teach a lesson or instill a moral. Yet, there are many real life stories that can be used to teach our kids these valuable truths as well, we just may need to dig a little deeper. 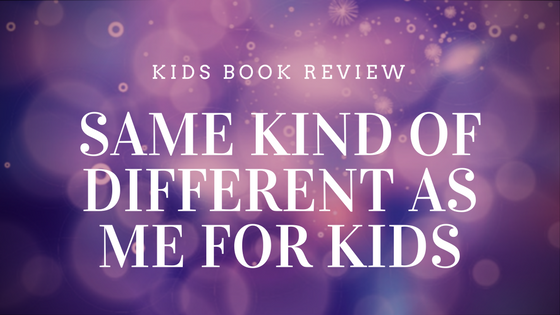 That is the purpose behind Same Kind of Different for Kids. 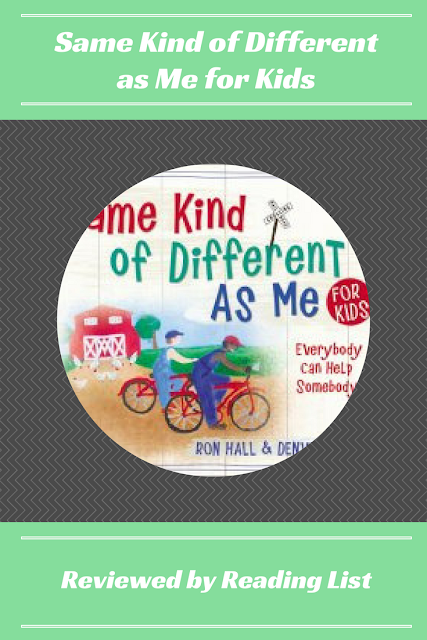 The story of Denver Moore has inspired many, and Rob Hall has put together this book in an attempt to bring Denver's story to children. This is a basic autobiography/biography of Denver Moore designed for kids to read. Or even, to be read to kids, as this is hopefully not age dependent. Denver's goal in sharing his life's story is not to scare children or make them fearful of what is different. Rather, he is hoping to teach kids that "every can help somebody." I enjoyed the fact that the book is an autobiography. There are so many autobiographies for kids that go over their heads. They don not actually learn the importance of such non-fiction. This is the kind of book that Kindergarten teachers need to have in their classrooms. My biggest reservation with the whole book was the illustrations versus the advanced sentence/writing structure. While I love that the drawings were Denver's, my older kids didn't seem to care about them and therefore decided the book was for younger kids, and missed the message. While my youngest, who did like the pictures, was too young to get the point. But maybe if a teacher read it in a classroom setting and used it to teach, instead of just a bedtime story, it would have been more powerful. Do you have a favorite non-fiction resource for your kids? A favorite autobiography for your kids? Have you read the Same Kind of Different as Me? ***If you're interested in writing a book review on Reading List, please message me on the Facebook page! If you're curious about a book, ask me... I love to hear from you! I love the message of this book. This sounds like it would be a great book for the classroom. Just because someone is different we don't have to be fear them. Thanks for sharing!